Jordan, Weymouth T., Jr., editor. "A Soldier's Life on the Indian Frontier, 1876-1878: Letters of 2Lt. C. D. Cowles." Kansas Historical Quarterly 38 (Summer 1972): 144-155. Written from Forts Dodge and Hays. Oliva, Leo E. "Fort Atkinson on the Santa Fe Trail, 1850-1854." Kansas Historical Quarterly 40 (Summer 1974): 212-233. Located on Cimarron crossing, two miles west of present Dodge City. Strate, David Kay. 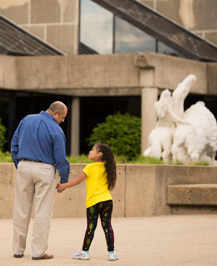 Sentinel to the Cimarron: The Frontier Experience of Fort Dodge, Kansas. Dodge City, Kans. : Cultural Heritage and Arts Center, 1970. Based on his doctoral dissertation with the same name, completed at Oklahoma State University, 1969. Dinges, Bruce J. "The Irrepressible Captain Armes: Politics and Justice in the Indian-Fighting Army." Journal of the West. 32 (April 1993): 38-52. Review of colorful career of George A. Armes from the Civil War through the early 20th century, including his stint in Co. F, 10th U.S. Cavalry at Forts Harker and Hays and his association with the 18th Kansas Cavalry. 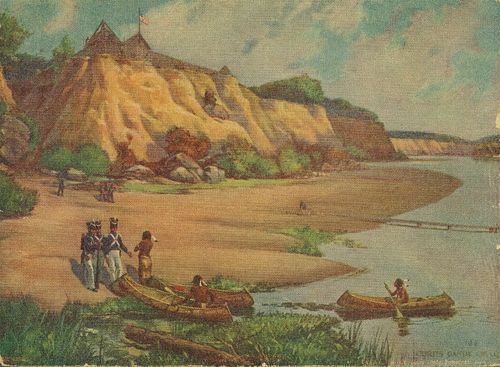 Beach, James H. "Old Fort Hays." Kansas Historical Collections 11 (1909-1910): 571-581. Officially established on its present site near Hays City in June 1867; describes activity there to 1900. Mayes, William G., Jr. "Did Morphy Blunder? The Closing of Fort Hays, Kansas." Journal of the West 15 (July 1976): 38-48. Concludes that state representative W. N. Morphy of Hays was not responsible in any way for the federal withdrawal from Fort Hays. Oliva, Leo E. Fort Hays: Frontier Army Post, 1865-1889. Topeka: Kansas State Historical Society, 1980. Staab, Rodney. "The Smoky Hill Route and Fort Fletcher." Master's thesis, Fort Hays State University, 1985. Trail used during gold rush of 1859 and as route for the Butterfield Overland Despatch in the 1860s. Ft Fletcher in a different location was renamed Fort Hays. Oliva, Leo E. Fort Larned on the Santa Fe Trail. Topeka: Kansas State Historical Society, 1982. Taylor, Morris F. "The Mail Station and the Military Camp on Pawnee Fork, 1859-1860." Kansas Historical Quarterly 36 (Spring 1970): 27-39. Later site of Fort Larned. Unrau, William E. "The Story of Fort Larned." Kansas Historical Quarterly 23 (Autumn 1957): 257-280. Originally, "Camp on the Pawnee Fork," established in 1859. Zwink, Timothy Ashley. 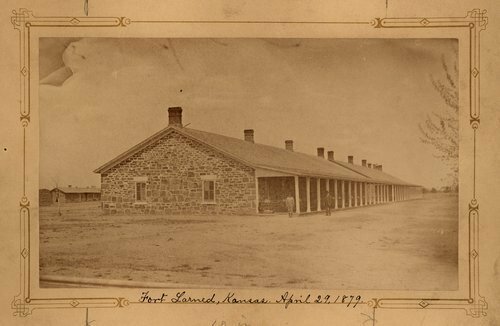 "Fort Larned: Garrison on the Central Great Plains." Doc. diss., Oklahoma State University, 1980. "Address of President P. G. Lowe." Kansas Historical Collections 5 (1891-1896): 93-99. Experiences with the First U. S. Dragoons out of Fort Leavenworth, 1852. Carr, E. T. "Reminiscences Concerning Fort Leavenworth in 1855-'56." Kansas Historical Collections 12 (1911-1912): 375-383. 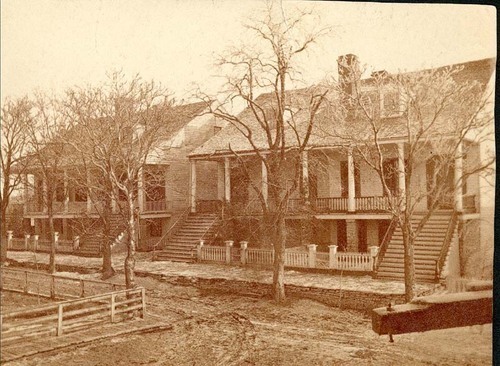 Author removed to Kansas from New York in 1855 to work as carpenter at fort. DeZurko, Edward R. "A Report and Remarks on Cantonment Leavenworth." Kansas Historical Quarterly 15 (November 1947): 353-359. Official report by Col. George Croghan, inspector general, March 31, 1829, and remarks from 1833, 1836, and 1842. Hoffhaus, Charles E. "Fort De Cavagnial: Imperial France in Kansas, 1744-1764." Kansas Historical Quarterly 30 (Winter 1964): 425-454. Located by Chevalier Pierre Rene Harpin de la Gautrais near the subsequent site of Fort Leavenworth. Holt, Daniel D., and Marilyn Irvin Holt. "The Pleasures of Female Society' at Cantonment Leavenworth." Kansas History 8 (Spring 1985): 21-35. Letters from the late 1820s and 1830s, centering on the Hertzog, Dougherty, and Cooke families. Hunt, Elvid. History of Fort Leavenworth, 1827-1927. 1926. Revised edition. Fort Leavenworth, Kans. : 1937. Johnston, J. H., III. Early Leavenworth and Fort Leavenworth: A Photographic History. N.p. : 1977. Shindler, Henry. Fort Leavenworth, Its Churches and Schools, 1827-1912. Fort Leavenworth, Kans. : Army Service School Press, 1912. __________. History of the Army Service Schools. Ft. Leavenworth, Kans. : Leavenworth Staff College, 1908. __________. History of the United States Military Prison, 1871-1910. Leavenworth, Kans. : The Army Service Schools Press, 1911. Stanley, Arthur J., Jr. "Fort Leavenworth: Dowager Queen of Frontier Posts." Kansas Historical Quarterly 42 (Spring 1976): 1-23. Includes photos of fort in recent years. Walton, George. 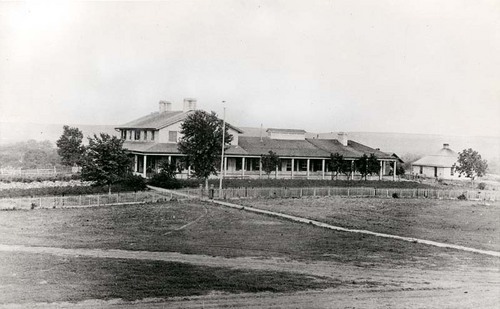 Sentinel of the Plains: Fort Leavenworth and the American West. Englewood Cliffs, N.J.: Prentice-Hall, 1973. Lowe, Percival G. "Recollections of Fort Riley." Kansas Historical Collections 7 (1901-1902): 101-113. Recounts very early post history Riley was established in 1853 with occasional later personal remembrances. Mattes, Merrill J. "Patrolling the Santa Fe Trail: Reminiscences of John S. Kirwin." Kansas Historical Quarterly 21 (Winter 1955): 569-587. A private in 4th U. S. Cavalry stationed at Fort Riley, 1859-1861. 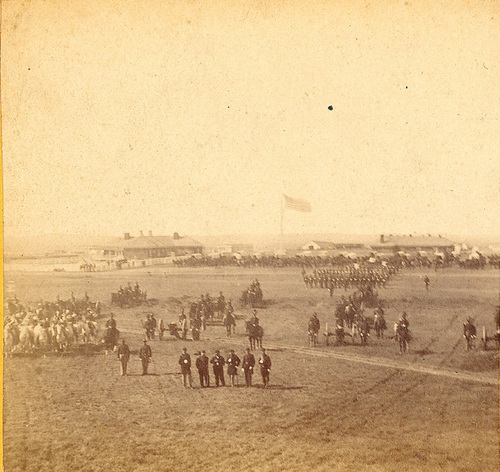 Martin, George W. "The Territorial and Military Combine at Fort Riley." Kansas Historical Collections 7 (1901-1902): 361-390. Fort Riley and environs 1852-1890s. Millbrook, Minnie Dobbs., editor. "Mrs. General Custer at Fort Riley, 1866." Kansas Historical Quarterly 40 (Spring 1974): 63-71. Letter from Libbie Custer (1842-1933) to her cousin, December 6, 1866. Omer, George E., Jr. "An Army Hospital: From Dragoons to Rough Riders Fort Riley, 1853-1903." Kansas Historical Quarterly 23 (Winter 1957): 337-367. Years 1904-1957 covered in subsequent issue (24:57-78): "From Horses to Helicopters." Pride, W. F. History of Fort Riley. 1926. Reprint. Ft. Riley, Kans. : U. S. Cavalry Museum and the Fort Riley Historical and Archaeology Society, 1987. Pride was a captain stationed at Ft Riley in the 1920s. Smith, Dwight L. "The Kansas Frontier, 1869-1870: Lt. Samuel Tillman's First Tour of Duty." Kansas History 12 (Winter 1989/90): 202-209. Excerpt from Tillman's autobiography while he was located at Ft. Riley and took part in a scouting trip into the northern Kansas frontier. Vice, Michael L. "Fort Riley in the Civil War." Kansas Quarterly 10 (Summer 1978): 38-44. Barry, Louise. "The Fort Leavenworth-Fort Gibson Military Road and the Founding of Fort Scott." Kansas Historical Quarterly 11 (May 1942): 115-129. Maps and photos included. Myers, Harry C., editor. "From `The Crack Post of the Frontier': Letters of Thomas and Charlotte Swords." Kansas History 5 (Autumn 1982): 184-213. Captain Swords was stationed at Fort Scott, 1842-1846. Oliva, Leo E. Fort Scott: Courage and Conflict on the Border. Topeka: Kansas State Historical Society, 1996. A revised edition of Fort Scott on the Indian Frontier, first published in 1984. Shoemaker, Earl Arthur. "The Permanent Indian Frontier: The reason for the Construction and Abandonment of Fort Scott, Kansas, During the Dragoon Era." Master's thesis, Kansas State University, 1985. Published by the Government Printing Office for the National Park Service, 1986. Hurt, R. Douglas. "The Construction and Development of Fort Wallace, Kansas, 1865-1882." Kansas Historical Quarterly 43 (Spring 1977): 44-55. Most western of state's frontier forts, Wallace "bore the brunt of the hositle Indian activity in the state." __________. 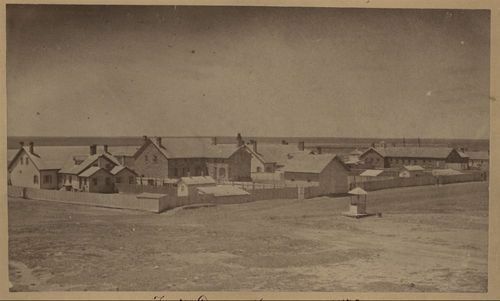 "Fort Wallace, Kansas, 1865-1882: A Frontier Post During the Indian Wars." Red River Valley Historical Review 1 (Summer 1974): 132-145. Montgomery, Mrs. Frank C. "Fort Wallace and Its Relation to the Frontier." Kansas Historical Collections 17 (1926-28): 189-283. Important study of this western most Kansas installation, 1865 to 1878; reprinted separately by the Fort Wallace Memorial Association in 1955. See, Barry, Louise, comp. Comprehensive Index, 1875-1930 to the Collection . 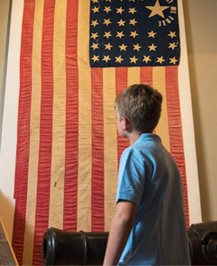 . . of the Kansas State Historical Society. Topeka: Kansas State Historical Society, 1959, for scattered references. Barry, Louise. "Fort Aubrey." Kansas Historical Quarterly 39 (Summer 1973): 188-199. Located near present-day Syracuse, Hamilton County, in September 1865 and abandoned by army in April 1866. Burr, Eugene P. "A Detailed Study of the Aubry Cutoff of the Santa Fe Trail and Fort Aubry." Emporia State Research Studies 23 (Summer 1974): 5-72. Based on Burr's Master's thesis, Emporia State University, 1971. Campbell, Hortense Balderston. "Camp Beecher." Kansas Historical Quarterly 3 (May 1934): 172-185. Military post, near present site of Wichita, established in 1868 to protect settlers. Frazer, Robert W. Forts of the West: Military Forts and Presidios and Posts Commonly Called Forts West of the Mississippi River to 1898.. Norman: University of Okalahoma Press, 1965. Brief but extremely useful information on numerous facilities arranged by state; includes an impressive bibliography. Garfield, Marvin H. "Defense of the Kansas Frontier, 1864-65." Kansas Historical Quarterly 1 (February 1932): 140-152. Subsequent articles (1:326-344 & 451-473) cover years 1866-1869, when Indian "hostilities" here were at their peak. ___________. "The Military Post as a Factor in the Frontier Defense of Kansas, 1865-1869." Kansas Historical Quarterly 1 (November 1931): 50-62. Brief discussion of various Kansas "forts" and military organization governing region. Goodale, Roy, editor. "A Civilian at Fort Leavenworth and Fort Hays, 1878-1879: Extracts from a Diary of Ephriam Goodale." Kansas Historical Quarterly 33 (Summer 1967): 138-155. Brief daily entries, April 1878-September 1879. Leiker, James N. "Voices From a Disease Frontier: Kansas and Cholera, 1867." Kansas History 17 (Winter 1994-1995): 236-254. Leiker analyzes the epidemic in the context of the "frontier" conditions that facilitated its spread. Powers, Ramon S., and Gene Younger. "Cholera and the Army in the West: Treatment and Control in 1866 and 1867." Military Affairs 39 (April 1975): 49-54. Main focus is the forts of the Kansas frontier including Harker, Hays, and Wallace. Prucha, Francis Paul. Guide to the Military Posts of the United States, 1789-1895. Madison: State Historical Society of Wisconsin, 1964. Welty, Raymond L. "Supplying the Frontier Military Posts." Kansas Historical Quarterly 7 (May 1938): 154-169. Waste and inefficiency were characteristic of efforts to supply 20,000 men from 1855-1875. __________. "The Policing of the Frontier by the Army, 1860-1870." Kansas Historical Quarterly 7 (August 1938): 246-257.